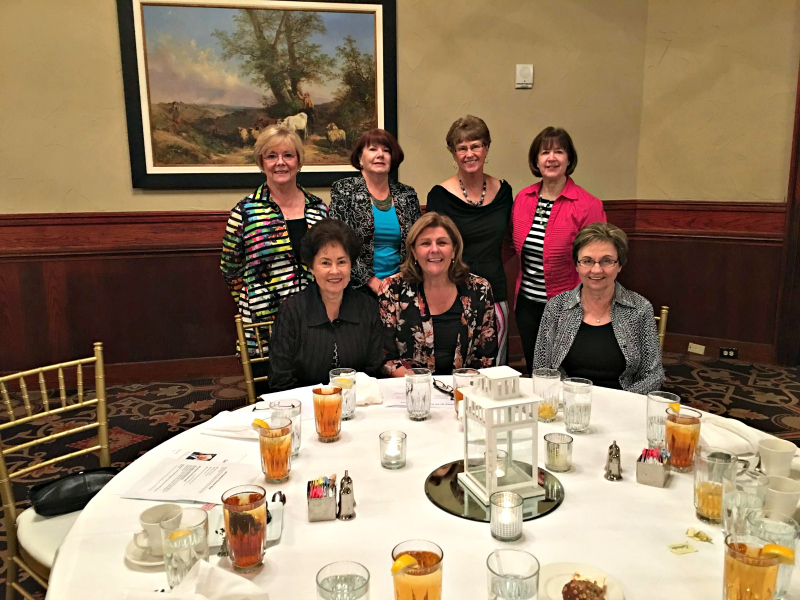 In celebration of National Volunteer Week, Texas Health Resources hosted a dinner at Gleneagles Country Club. Seven members of the Pass the Word team attended. A lovely dinner was enjoyed by all as well as a safety update presented by Josh Floren, President of Texas Health Presbyterian Plano. He encouraged volunteers to advise hospital staff of any safety issues. Sharon Demille spoke to Bev Darling about our concern with the lack of security present on the weekends when several of our members work to prepare the cart and service the waiting areas. She promised to pass along our concerns. In addition, we recently received a $500 grant from the hospital to show their support of our efforts.